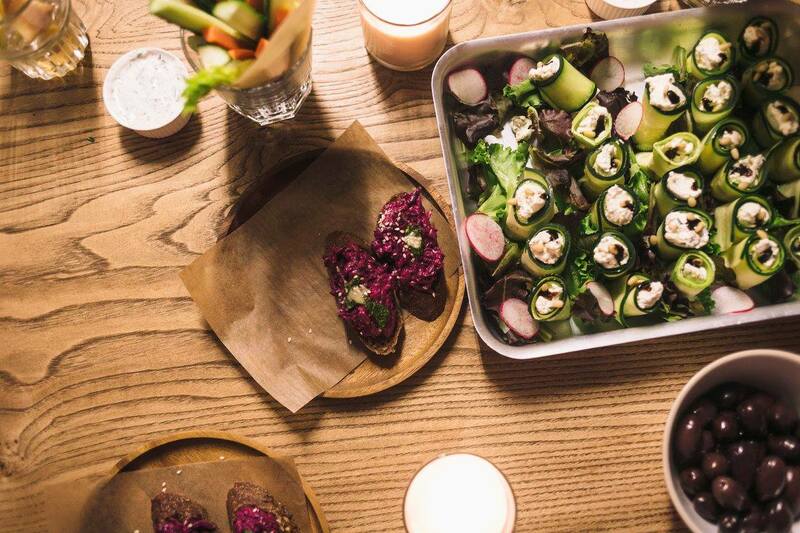 We heart Moscow has prepared a list of new places for you – restaurants and cafes opened in Moscow in early March. 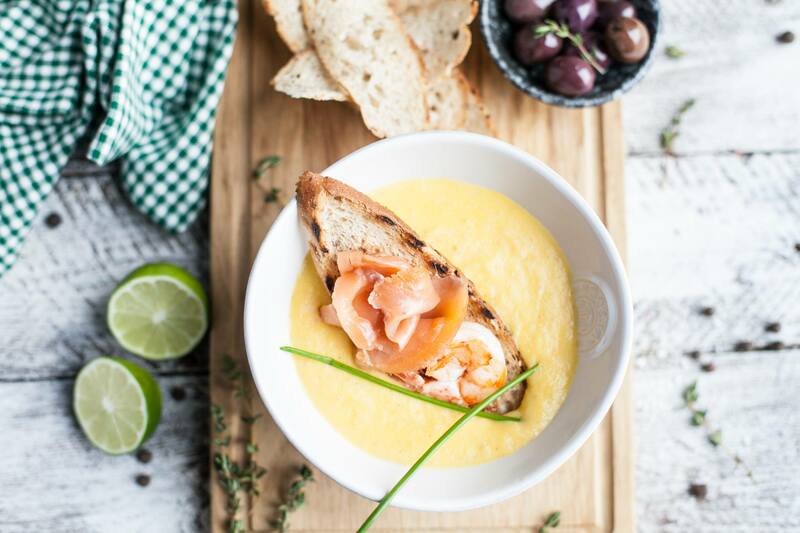 Owners of a Georgian cuisine restaurant network Khachapuri and Odessa Mama have recently opened 15 Sisters Cafe on Akademika Sakharova Avenue. 15 Sisters is rather thematic restaurant. The name is an allusion to the former republics of the Soviet Union, brought together under one roof. Thus, for visitor’s convenience, all dishes in the menu are divided into 4 parts – «Baltic», «Slavs», «The Caucasus», «Central Asia». You will find here sour Russian cabbage soup with cowberry, pork ears with pearl barley, hash browns, char-grilled chickens, black pudding with mashed parsnips, meat baked in the tandoor, gray peas with bacon and yogurt, lamian, kyufta, beshbarmak and khinkali. Average check makes 1200-1400 rubles (€16.59– €19.36). 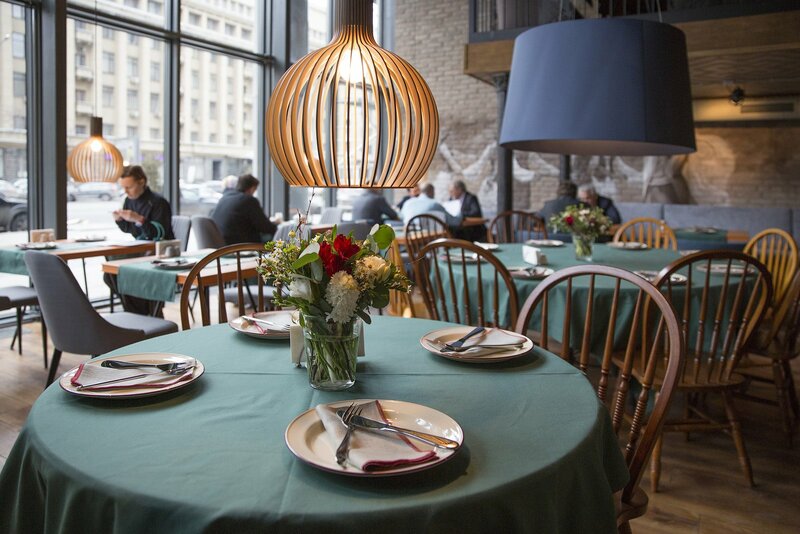 Sundukovy Sisters, authors of design for Odessa Mama, Fresh and United Kitchen restaurants, created interior for this place on 260 persons. 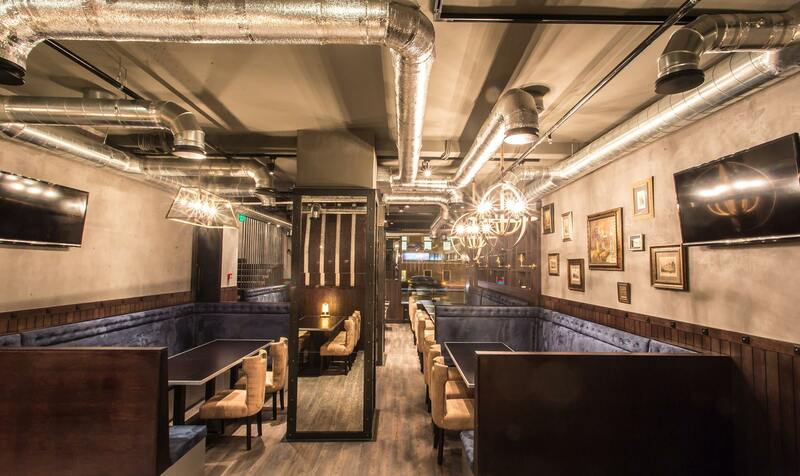 Subbotitsa, a restaurant of Serbian cuisine, has opened at Sadova-Kudrinskaya Street. It is a joint project of several Serbian-Russian families. There are 66 seats in the restaurant, 18 of them are situated in a separate room – a good place for celebrations. 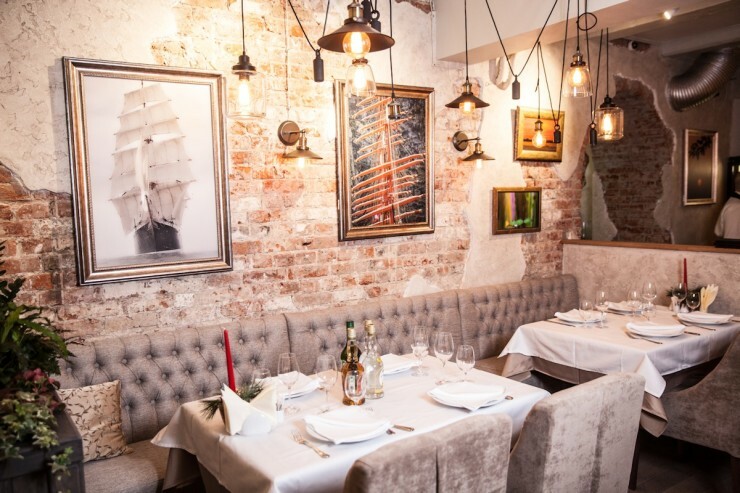 Food is precisely as in Belgrade and even better; owners obviously try not to lose face. 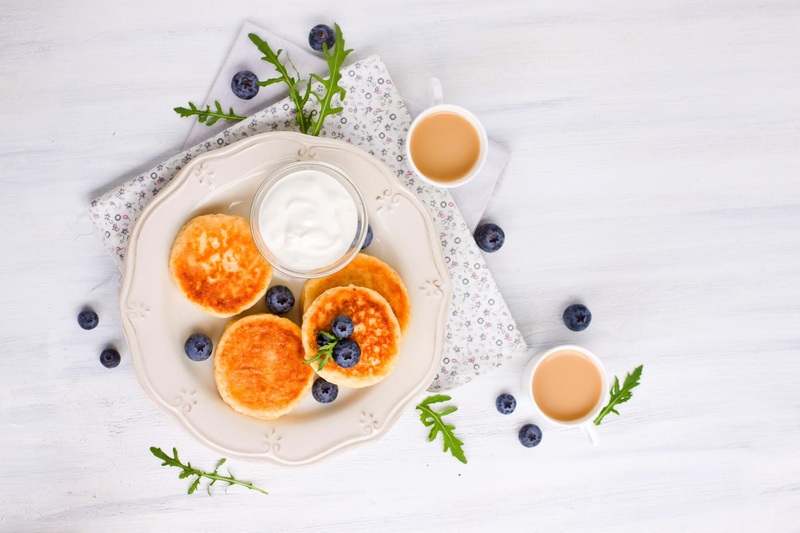 There is a big choice of Serbian dishes, such as ayvar (290 rubles - €4.01) — caviar from sweet pepper fried on grill, kaimak (370 rubles - €5.12) — a product similar to cottage cheese, Serbian fermented cabbage with paprika (350 rubles - €4.84) and beef brains in crackers (470 rubles - €6.50). It is important to remember that a hot dish is the main thing in Serbian dinner. Therefore, it is necessary to try a huge chopped veal cutlet – pljeskavica (530 rubles - €7.33), braided pork brisket – pletenitsa (580 rubles - €8.02) or at least a pilecha belo u maramitsi – chicken fillet in a grid stuffed with bacon and cheese (550 rubles - €7.60). Unusually professional waiters give some special charm to the place. Elderly Serbians are rather ‘masters of a ceremony’, than people bringing food. Subbotitsa wine list is presented by wines from Serbia, Croatia, Macedonia and 6 types of rakia (370 rubles - €5.12 for 50 ml). 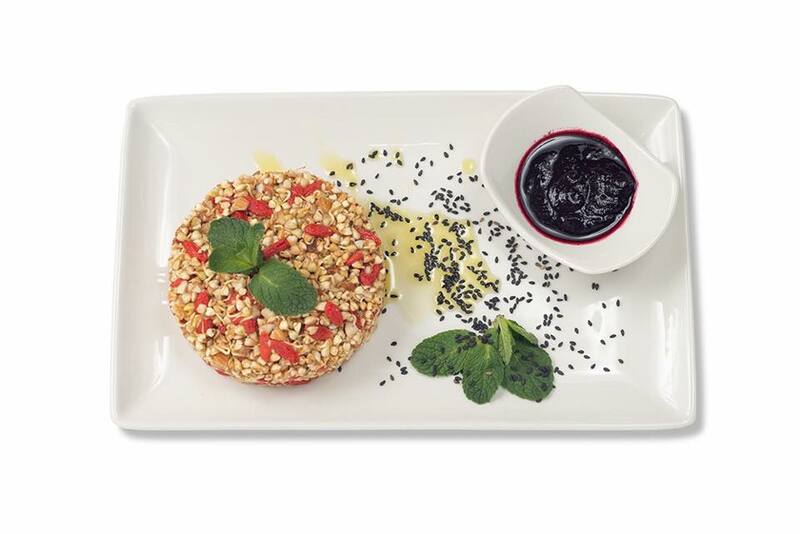 A new cafe of healthy food in Afimoll was opened by Yury Volkov. He doesn’t call Zelen (Greens) the restaurant neither vegetarian, nor a raw food one, does not insist on any ideology and, in general, prefers not to hang labels. 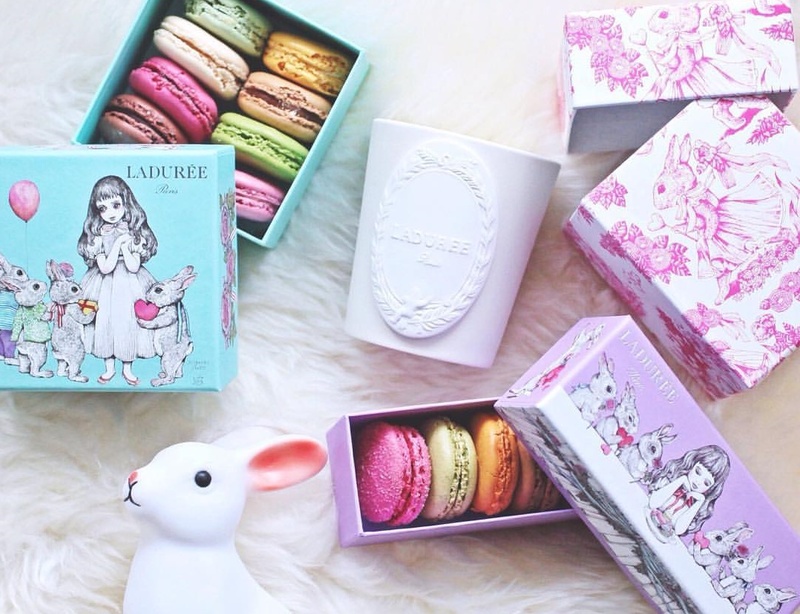 The main and only principle, which he defends, is that good food should not only be tasty, but also useful. According to Volkov, having regular dinner in Zelen’ makes it possible to heal a little bit. The vegetarian menu has some compromises, for example Caesar Salad (285 rubles - €3.94) and Russian salad (335 rubles - €4.63), though without any meat. One of the most interesting dishes in the menu is Zelen (305 rubles - €4.22) – a mix of grated broccoli, carrots and avocado filled with cashew sauce. Hrustok (285 rubles - €3.94), made from carrot, vegetable marrow and sprouts of a sunflower with the same cashew sauce and Detox (345 rubles - €4.77) – a mix in orthodox French style: lettuce leaves, arugula, baked tomatoes, goat cheese and vinaigrette dressing based on lemon juice, olive oil and mustard, are also very good. 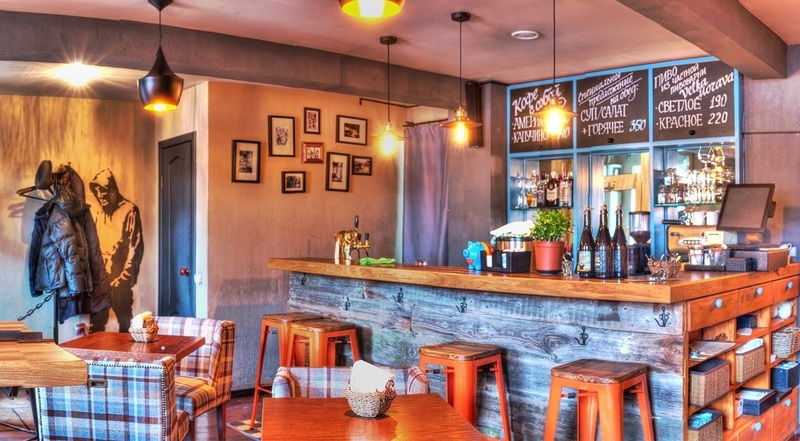 A nice cafe for a casual nosh has opened at Kitay-Gorod. It is a small city cafe, working from morning till midnight, with a tiny menu. Food in Porosello is edible and honest. Here you can taste chicken wings (320 rubles - €4.42), shrimps in bacon (360 rubles - €4.98), pork on a stone (370 rubles - €5.12) baked with barbecue sauce, set of spreads (380 rubles - €5.25), which includes paste from chicken liver, tasty cottage cheese and tapenade from the processed capers and anchovies and some salty crackers. If the price of your order is more than a thousand rubles, you can take a prize-winning piece of paper from a vase. There will be written what you will receive free at the following visit. Gastropab Queen V appeared at the corner of Narodnaya Street and Krasnokholmskaya Embankment, in five-minute walk from Taganskaya metro station. This is big, extremely elegant place with dark wood, polished steel and a zinc rack. There are 10 types of draft beer (from 290 rubles for 0,5 l – €4.01) and 17 types of bottled beer in the bar. In addition, the list of classical cocktails (380 rubles, €5.25) and wine on glasses (from 290 rubles - €4.01 white, from 320 rubles - €4.42 -red) is also big. You can taste here a chauder with a salmon (420 rubles - €5.81), Chile con carne (520 rubles - €7.19) and lamb stew (680 rubles - €9.40). The Irish pies are especially nice. There are four of them: with cod (370 rubles - €5.12), with turkey (370 rubles - €5.12), with marble beef (370 rubles - €5.12) and with wild salmon (450 rubles - €6.22). It is also possible to take any super conservative steak — Ribeye (1420 rubles - €19.63) or fillet minion (1560 rubles - €21.57) or some foppish black burger (520 rubles - €7.19), which includes black bread, a turkey cutlet and marinated squid with tartare sauce.